It seems like as soon as I moved from Colorado, I discovered it was a state FILLED with awesome authors. Today’s Will Write for Cookies guest is one of those. I’m sorry I didn’t get to meet her while I lived there, but I am ultra-excited that she is going to be one of the faculty members at the WOW Retreat next July. And I’ll be there also! Ana Crespo creates stories for kids. 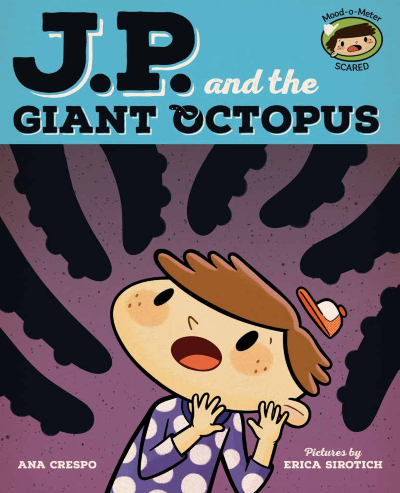 She is the author of THE SOCK THIEF and the recently released JP AND THE GIANT OCTOPUS and JP AND THE POLKA-DOTTED ALIENS. Ana loves road trips almost as much as she loves writing and reading. She and her family have traveled over 25,000 miles by car throughout the United States, visiting a total of 35 states (more to come). 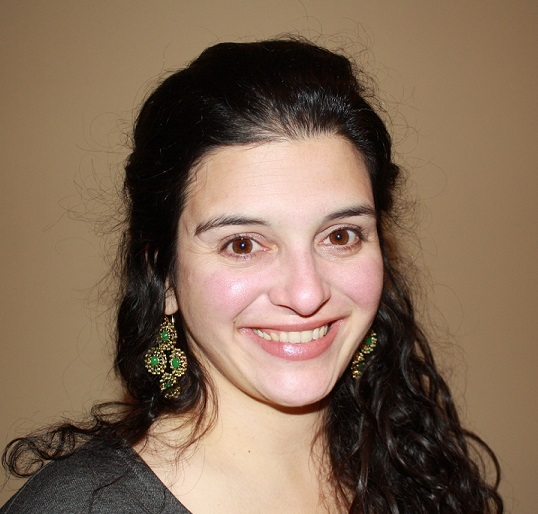 Ana is originally from Rio de Janeiro, Brazil, but lives by the beautiful Rocky Mountains with her family. I’m excited to welcome Ana. She’s got a lot to share with us so let’s get started. They were Brazilian authors and illustrators. My favorite of all is Ziraldo. He’s probably the most successful cartoonist in Brazil and wrote over 100 children’s books, including ‘O Menino Maluquinho’ (The Little Crazy Boy) and ‘Flicts’. Flicts is the book I loved the most as a child. I write everything on a computer and hardly ever use paper. When I have a sudden inspiration, I look for paper and pen, but who can ever find a pen? So, I started using my phone. Some of my best ideas were first written down on the ‘Memo’ app. It works well. At home, I usually work sitting on the couch with the TV on, not exactly watching it, but enjoying the background noise of Scandal, the TV series. 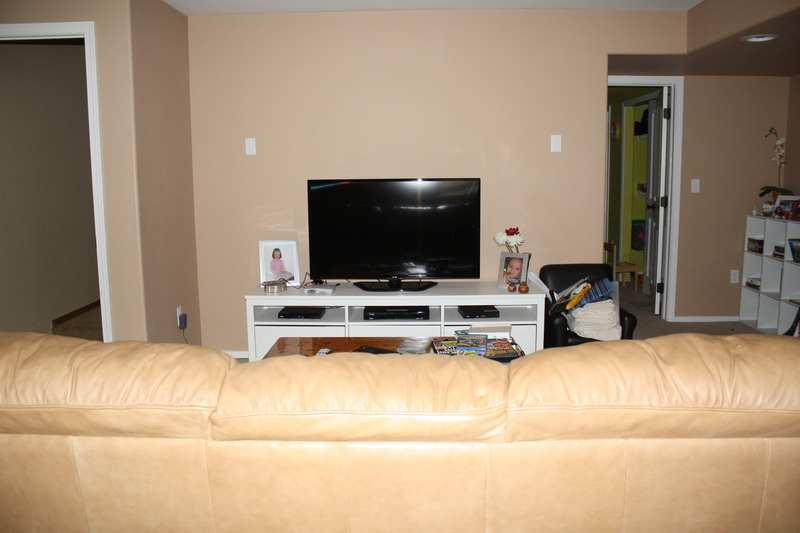 I like to write during the day, when the kids are away and the house is quiet (except for Scandal, of course). However, I will write at any time the muse speaks and that means writing in the middle of the night sometimes. My initial motivation to start writing for children was a lack of Brazilian or Brazilian-American characters in the American children’s literature. At least, I always had a hard time finding picture books featuring Brazil/Brazilians, except for a few books on Pelé. That’s why I wrote The Sock Thief and a few other manuscripts portraying Brazilian characters. 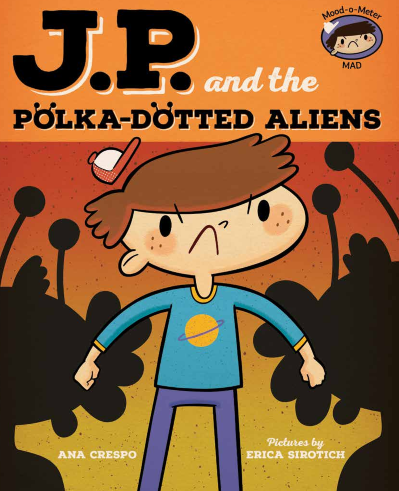 Now, I write for children because I simply can’t stop. I love it. Of course, seeing a few more Brazilians in American books is always a plus. ME: Ana, do you have any other tips or thoughts you’d like to share with everyone? The best advice I have is to keep writing, keep reading, and keep LISTENING. That’s right. Listening is essential in a couple of ways. It’s essential when you read your story aloud and try to figure out if the rhythm is there. And it’s essential when it comes to critiques. Certainly, you don’t have to follow every single suggestion your critique partners give you, but it’s crucial that you LISTEN to them and actually consider them. When I was an Academic Advisor I used to tell my students that it’s easier to spot the careers you don’t like than the ones you do. The fact is that knowing what you don’t want (and why) is just as important as knowing what you want (and why). The suggestions you choose NOT to follow, will help you shape your story and understand what your goal is. Of course, to be able to really LISTEN, you also need to be OPEN-MINDED, which happens to be great practice for when your manuscript is sold. WOW…this has been fantastic…please join me in thanking Ana for sharing her heart and soul with us. If you’d like to connect with her and learn more about her books: www.anacrespobooks.com. You may also like her Facebook page at www.facebook.com/AnaCrespoBooks or follow her on Twitter at www.twitter.com/AnaCrespoBooks. And now, for a very sweet ending…a very sweet recipe from Ana. Put the butter, the condensed milk, and the chocolate powder in a pan. Use low heat. Steer continuously until the mixture is thick enough that when you steer it, you can see the bottom of the pan (this may take around 20min). Remove the pan from the heat. The other option would be to place the hot mixture in a small cup (expresso cups or shot glasses, for example). Place the sprinkles on top of the mixture in each cup to make it look beautiful. Put the cups in the fridge and let it cool down. 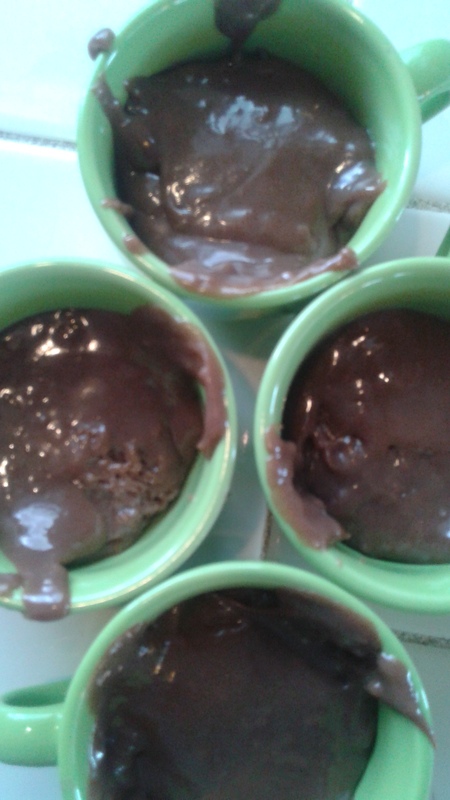 The brigadeiro is ready. I’m definitely going to give this dessert a try! Do you like to have your kids help prepare meals? Even little ones can do something, right? Bringing kids into the kitchen is a way to connect, as Ana said. And it’s also a way to help kids learn about the food they eat. More importantly, helping kids develop a skill like cooking also helps develop their self-esteem. Kids need to feel useful and capable…and cooking is an important life skill. That’s why I used cooking activities in my Show Me How program. Which reminds me, I promised to give away a copy of Show Me How! Build Your Child’s Self-Esteem Through Reading, Crafting and Cooking to one of the newest subscribers of my email mail list. Thank you so much, Rita! I’ll be contacting you by email. And thank you to all of my subscribers. Your loyalty is much appreciated. I hope everyone has a beautiful weekend – stay safe and read lots of books! I’m on a mission to read some of the middle grade and young adult books I missed. Just finished The Miraculous Journey of Eduard Tulane (oh my gosh…the most wonderful book ever) and The Ocean at the End of the Lane (so well written…I couldn’t put it down). And now I’m reading Howl’s Moving Castle. What’s on your reading shelf this week? 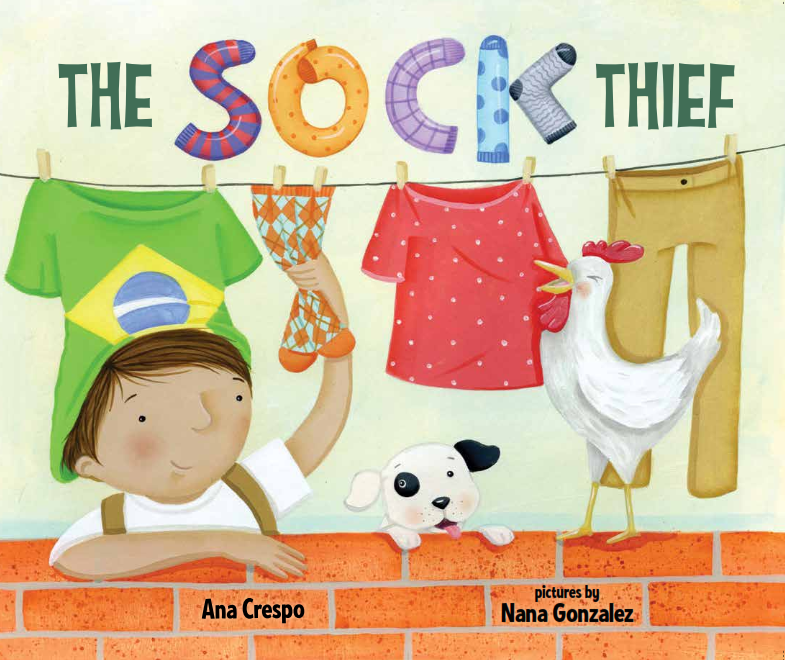 This entry was posted in Ana Crespo, Author/illustrator interviews, Dessert recipe, Giveaway, Will Write for Cookies and tagged Ana Crespo, Brigadeiros - Brazilian dessert, The Sock Thief by viviankirkfield. Bookmark the permalink. I like Ana’s advice to listen and be open-minded- so important. We often fall in love with our stories when we first write them (and love can be blind.) To read aloud- or, better yet, have someone else read the stories aloud is very helpful. As is listening to readers’ comments. Lovely interview- and the brigadeiros look dangerous! Oh, I so agree, Iza. Having someone else read a story aloud helps us hear the good, the bad and the ugly. 😉 Thank you for stopping by and leaving such a lovely comment! Love this post. I missed it earlier, because I was at RMC-SCBWI with Ana and so many talented Colorado Authors. And, now to try this recipe.